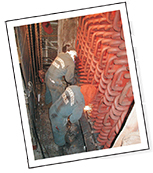 Permanent Underwater Hull Repair - During the company’s time in business, Oceanwide Repair has been called on many times to address grounding damage and hull fractures below the waterline. 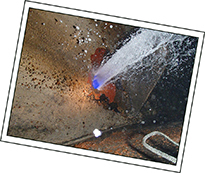 Typically in the past the repairs have only been accepted as temporary repairs, and carried out in the case of a fracture, by a diving company fitting a backing plate to the fracture and then placing a cofferdam over the area and pumping out the water to give a dry environment, the fracture would then be gouged out and weld placed onto the backing bar by a certified welder. The divers would then remove the cofferdam after the repaired area was cooled and either grind off the backing bar of fare the backing bar in with splash zone product. 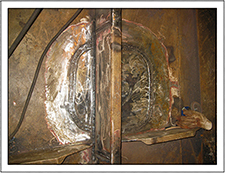 Later on this repair developed into a full penetration weld repair, again by a certified welder gouging out the fracture and placing a full penetration weld to give a crown on the weld on the outside of the hull and the diver would then grind the weld smooth after the cofferdam was removed. 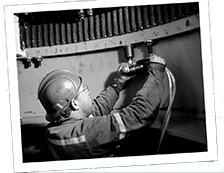 Underwater hull insert repairs were carried out in the same way, by the placement of a cofferdam by the diving contractor over the damaged area. 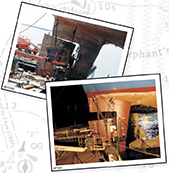 The area would then be inserted with a certified plate matching the original hull steel, then welded in place again with a certified welder placing a full penetration weld around the periphery of the insert, and again the weld ground smooth and inspected by underwater video to the attending surveyor and US Coast Guard inspector. 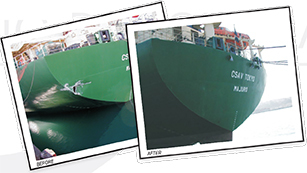 Oceanwide Repair wanted to provide a service that would eliminate a condition of class on an existing hull repair and allow the customer the ability to undertake UWILDS and go full term to dry dockings. 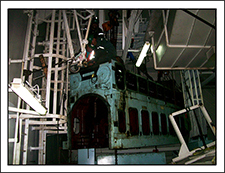 Oceanwide Repair teamed up with a prominent Dive contractor to design a repair method that would be considered permanent by all the major classification societies as well as the United States Coast Guard. 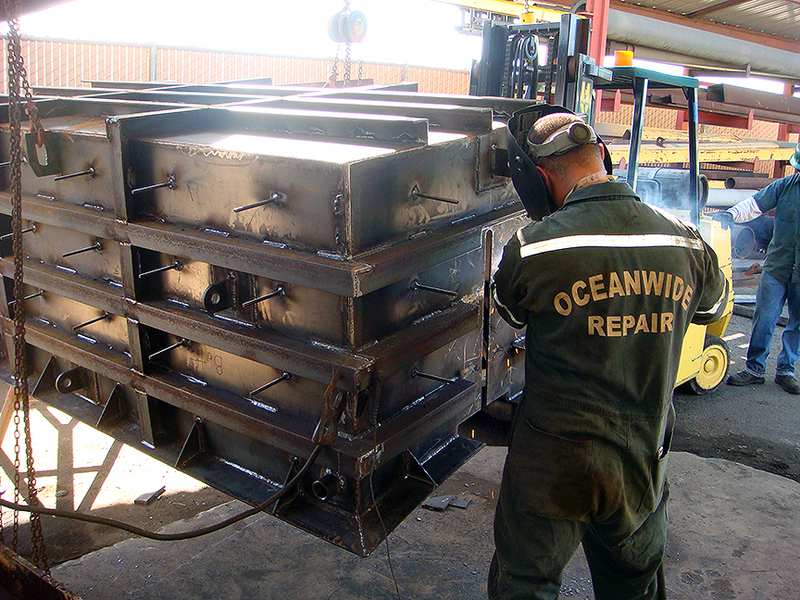 Oceanwide Repair incorporated their proficient use of ceramic tape, placing the ceramic tape in pre-made steel track around the periphery of the hull insert, and fully welding the insert from the inside of the hull with the ceramic tape with a cofferdam fitted externally, to maintain a dry environment. 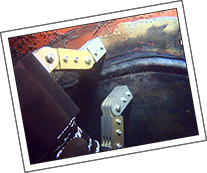 Procedure approved, and carried out under the careful watchful eye of all agencies, testing was carried out in A.W.S approved weld lab with all procedures and welds qualifications passing successfully. 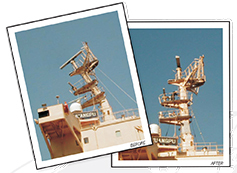 The repair process was then presented to the four major classification societies, ABS, DNV / Germanischer Lloyd and Lloyd’s Register and also the United State Coast Guard, with meetings held at ABS Headquarters in Houston and Germanischer Lloyd Headquarters in Hamburg, with their material and hull departments. 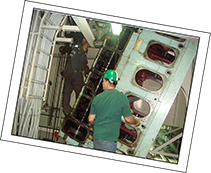 All four mentioned classification societies had input into the process and the procedure and all welding procedures and qualifications were to carry out to the guidelines of American Welding Standards 3.6D, pertaining specifically to hull welding. 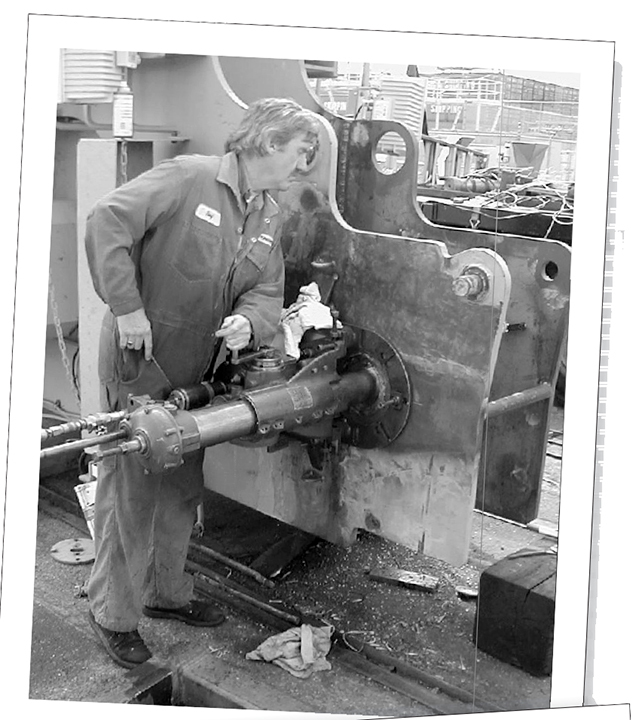 The size or shape of the inserts are not limited to small inserts, large and shaped inserts have been fit and welded by this repair method in the past, there is no limiting factor as to the size or shape of the insert, as long as the cofferdam is adequately constructed with sufficient stiffening to withstand the hydro static pressures at the insert depth. 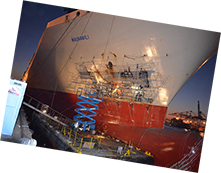 The benefits of this new procedure would now mean that any underwater hull repairs undertaken by Oceanwide Repair would now be considered a permanent repair, meaning no condition of class and no six monthly inspections imposed. This would also mean that the vessel could take the option of having a UWILD instead of being forced to go to dry dock with a pending condition of class on the hull.